Kirsten creates dynamic and sculptural wearable art pieces in a multi-layered discipline that draws from costume, sculpture and fashion. Kirsten’s love of crafting for the body has taken her on a journey to England and back, building an exciting range of skills and experience in this field. 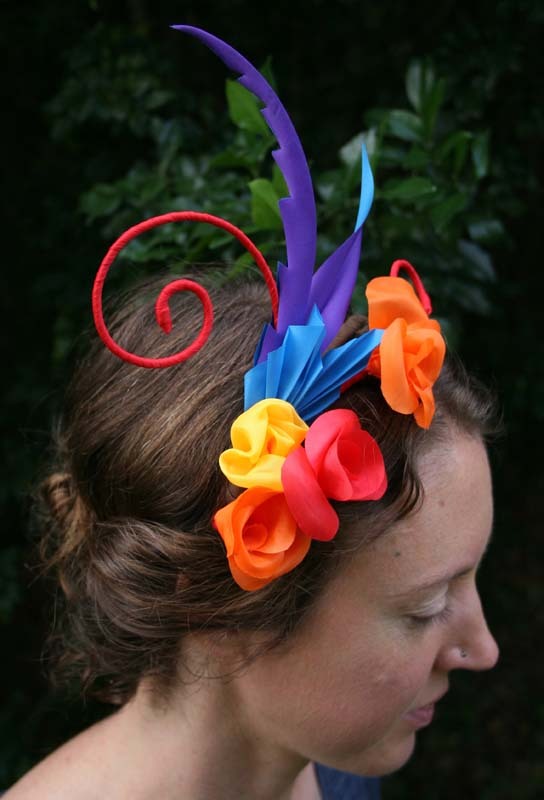 Learn the beautiful craft of flower making and millinery with artist Kirsten Fletcher in this fun introductory workshop designed to help you enhance your festival outfit, with a colourful, fun and beautiful headpiece or crown out of reclaimed tent fabric.